The barely-there construction of this heeled mule means it'll flatter your feet and keep them feeling fresh! 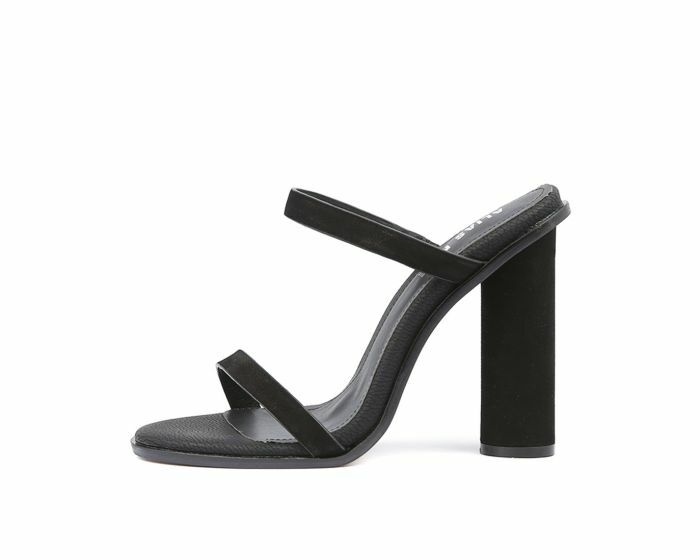 The rounded block heel adds an architectural feel to this design, which is enhanced by the slim straps that pass diagonally across the foot. Embrace a minimalist aesthetic this season in this shoe, paired with a simple linen shift dress.